Lexus vs. BMW: What's the difference? Who hasn't heard of BMW? For car owners everywhere, the brand carries with it a renown that is virtually incomparable, and ownership of one signifies a certain achievement that is well warranted. However, that hasn't stopped many other car manufacturers from taking a crack at the venerable classic, and Lexus is only one such brand. 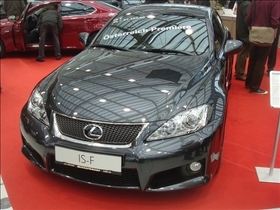 In this article, we compare the 2011 BMW M3 to the 2011 Lexus IS 250C. Let's see what each has to offer. In terms of width and length, the BMW M3 is actually pretty much the same as the Lexus IS 250C. Both are fairly sizable vehicles to be sure, although they would probably fit into most standard garages. In terms of seating, both cars are also pretty much the same, with room for the same number of passengers. However, the BMW M3 does have a slightly bigger trunk than the Lexus IS 250C, which makes it a roomier option for luggage and other cargo. Handling is one area where both cars veer away from each other, with the BMW having a much larger turning radius than its competitor. This gives the BMW an edge over the Lexus in terms of maneuvering in and out of small spaces. The BMW also provides more torque than the Lexus, and its engine is better at coursing power to the wheels than the IS 250C. The BMW also has a significant performance edge over the Lexus, with a more powerful under the hood. Again, the BMW takes the lead in terms of comfort, with a lot more rear headroom and legroom than the Lexus. This spells a greater degree of backseat comfort for passengers of the BMW M3. That being said, the Lexus does provide more front headroom and legroom, which will definitely be appreciated by tall drivers. The Lexus also has a larger fuel tank and is generally more economical to drive, so you can expect to go for longer distances before you have to stop to refuel. Now this category is a lot more straightforward. Unsurprisingly, the BMW M3 comes with a much higher price tag than the Lexus IS 250C. 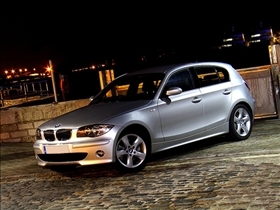 In addition, the higher horsepower engine of the BMW also means that you will have to pay higher insurance premiums. Things even out in the destination charge department however, with both cars costing pretty much the same to have them delivered from the factory to the dealership. American Cars vs. Japanese Cars: Which is best? Corvette vs. Mustang: Which is better?